Over the years, Cher has become known for more than just her music — the 72-year-old pop icon and actress also has a passion for designing her own extravagant homes. 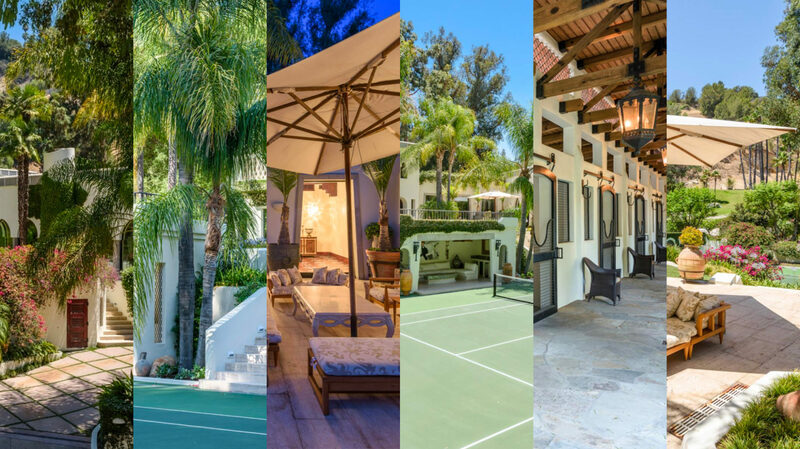 One of these houses, a garden-style Beverly Hills mansion, has recently hit the market again for $68 million, TopTenRealEstateDeals.com reports. The space, which is now managed by Douglas Elliman‘s Joshua and Matthew Altman, failed to sell after being listed for $85 million back in 2016. Located a short drive from Los Angeles’ Rodeo Drive and the historic Beverly Hills Hotel, Cher’s former estate is an 11-bedroom and 17-bathroom wonder full of arched windows, secluded garden paths and stone terraces. Even though the main 20,000-square-foot residence remains unfinished, the 14-acre estate comes with a pool, a tennis court, equestrian stables, a 7,000-square-foot Moroccan-stlye guest house along with numerous garden roads and secluded pathways. The mansion, which Cher designed and decorated five years after her 1975 divorce from Sonny Bono, is done with the star’s unique taste for all things grandiose and exotic. In 1988, Cher sold the property to comedian Eddie Murphy for $5.9 million. It has since passed hands many times, finally falling to the widow of major real estate developer Raul Walters. For Cher, who spent more than 50 years in the public eye after rising to prominence in the 1960s, privacy was an important factor — both massive entry gates and carefully landscaped paths hide the property from view.